So, you have finished installing CoIDE. Open it and click Project -> New project. 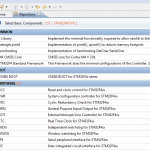 Choose your project name and project path and click Next. In the next step choose Chip and Next. 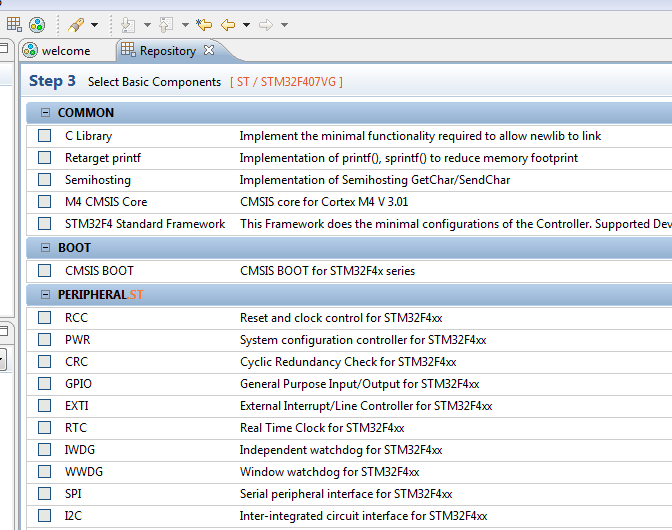 CooCox does not support STM32F429 for now, but we can use STM32F407 version which works pretty good. So type “stm32f407vg” in filter, select it and click Finish. You should have a window like this. Here you select all peripheral you will use in your project. 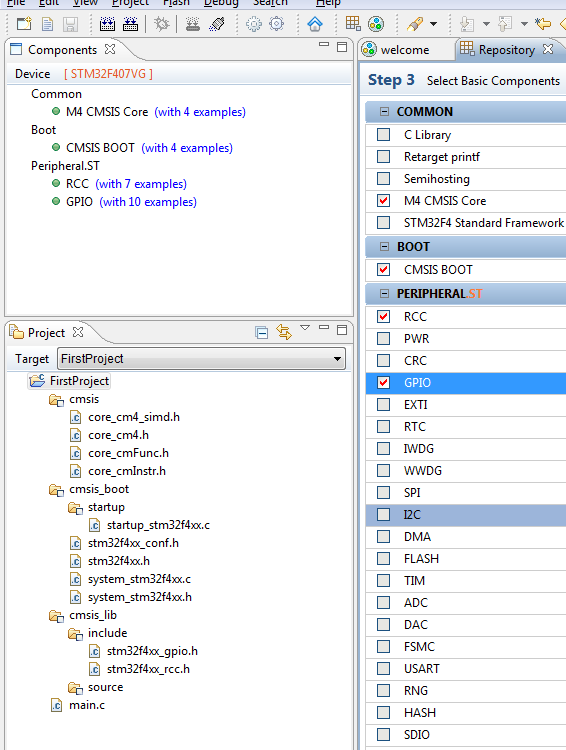 In every project you have to select under BOOT “CMSIS BOOT”. 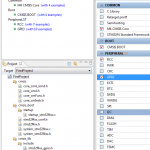 When you click on checkbox, CMSIS CORE is automatically checked. This 2 libraries you have to always use in project. Our first project will just blinky led on board, so we need to select GPIO Library. This is General Purpose Input/Output to use with our physical pins on microcontroller. On the bottom left you have project files. Open main.c and copy bottom program inside and press F7. Your project should be built without errors. When is built, click on 7th icon from the left on top, it says “Download code to flash“. Of course, you have to connect your board with USB cable. Both onboard leds (red and green) should now toggle in period. I hope this help to you for your first time.